An enchanting natural scenery surrounds you with crystal clear waters lazily caress your feet and you just sit on the private terrace of your luxury room. The dream that can become reality in a fabulous villa on the water! From Bora Bora to Maldives and Fiji, these unique resorts invite you to experience the ultimate luxury experience. Discover them below! An experience of a lifetime awaits you in the magnificent Polynesian island of Bora Bora, where St. Regis Resort offers luxury accommodation right on the water. An ideal destination for honeymoons, the St Regis enables you to organize the stay of your dreams, companionship with your partner. The options include romantic dinners by candlelight, picnic on the beach, spa treatments for two and short trips. The resort is famous for its villas are built over the crystal waters of the South Pacific. Each one has a private terrace and a specially designed pavilion. 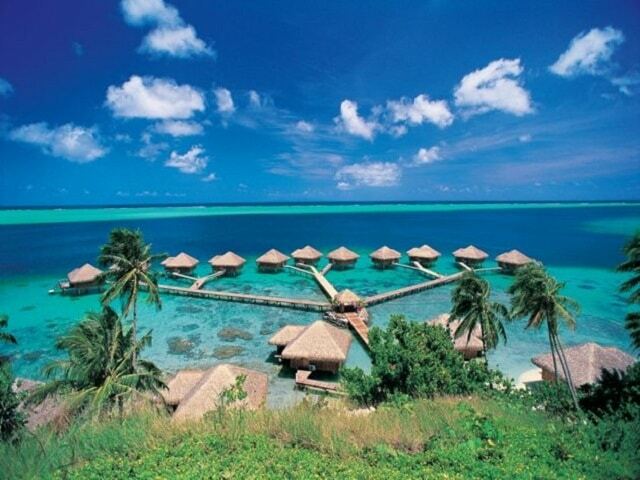 You will not need a pool as the serene waters of Tahiti is right at your doorstep! A collection of private villas and suites welcome you in the middle of the Indian Ocean. The luxurious life begins here, in a paradise for couples and families. Guests can choose from 50 luxury accommodations on the island Rangalifinolhu and other 79 in the vibrant island Rangali. In addition, there are 21 shelters built over the water with private rooms spa. Enjoy delicious meals at restaurants on the resort or on the three people ship Nemo. This traditional Polynesian resort is located in a small private bay and is accessible only by boat. The beautiful bungalows with thatched roofs are tiled floors and are decorated with bright fabrics in island style, and are also built right over the water. Before just four decades, hotel manufacturers in French Polynesia, discovered the revolutionary idea of ​​putting luxury rooms on pillars in the lagoon. 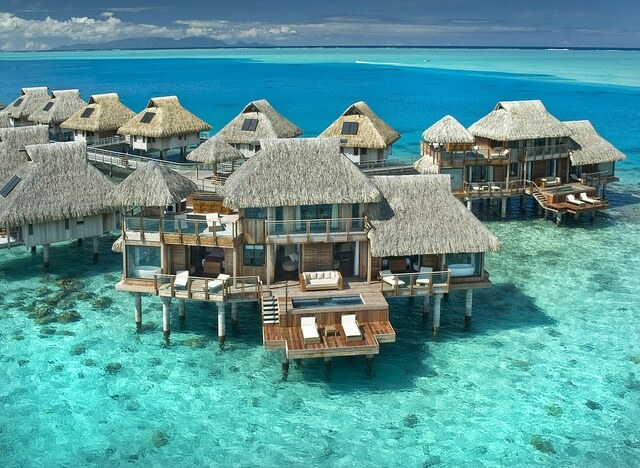 The resort of Bora Bora Nui features 122 villas decorated with rare Indonesian wood, hand carved wooden furniture and glass floors, so guests who suffer from jet lag before they can relax while watching the colorful fish. While the lagoon is the main attraction, the coastal part of the resort has not been neglected, since behind the sea 36 villas have been built, while on land, visitors have the opportunity to visit the Mandara Spa, for therapies with vanilla, which is the main product of the local cultures. In 1972, Malcolm Forbes bought this green island and turned it into his private refuge. 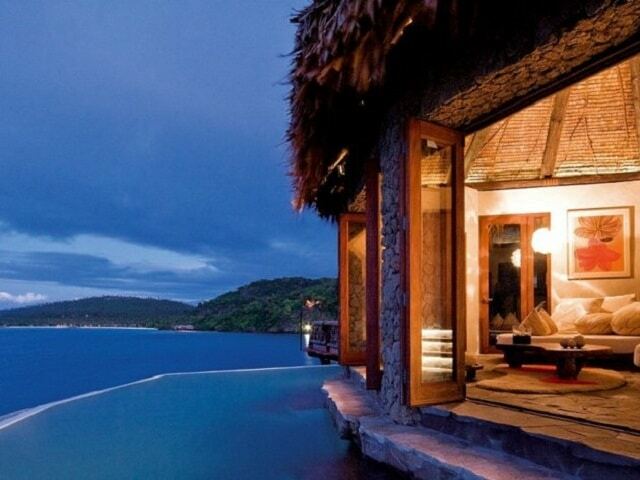 The current owners, the tycoon of Red Bull, Dietrich Mateschitz, has created a stunning tropical hideaway. The ultimate in luxury and privacy offered generously to each of 25 unique villas are stunning interpretations of traditional houses in Fiji. All have their own private pool, while inside you’ll find all the expected modern amenities such as Bose sound systems and giant plasma televisions, while the exuberant decor includes sofas, light fabrics and bathtubs carved from single slabs of granite. 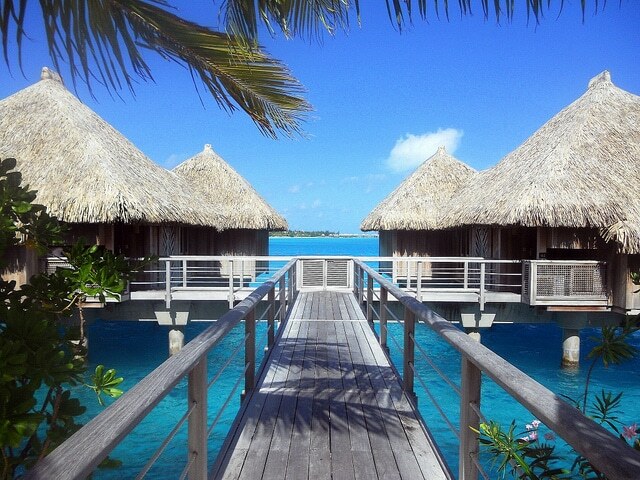 View more here: Where to stay in the exotic Bora Bora, The best spas in the world. 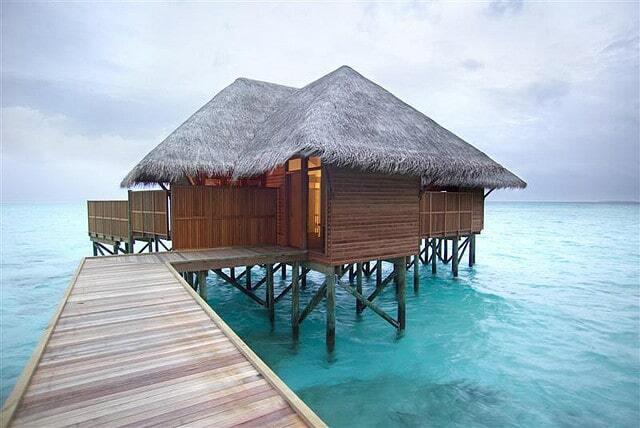 Villas on the water photos: Doron Levy, Hilton Worldwide, Maldives Exclusive Travel, Bianca Henry.